Availability: This product is unavailable for ordering at this time. please call 989-644-2695 for availability of Reconditioned Units. 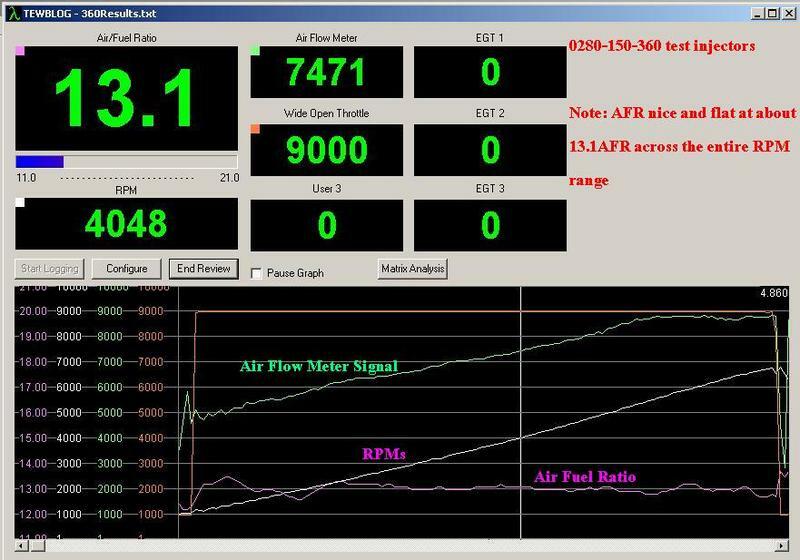 UPDATE: the 0280-150-364 injector test results are in! In summary the 0280-150-364 injectors are perfect replacements for the stock Carrera 0280-150-158 injectors! Read on and see for yourself. If you recall back about a year ago I was going to test 0280-150-364 bosch injectors as replacements for the stock 0280-150-158 injectors in the Carrera 3.2L. See post #117 for details. As you can see above I have spent many hours tunning my AFR to about 13.0AFR across the RPM range at WOT. Took me the better part of a year to learn how to burn chips and tune these cars. 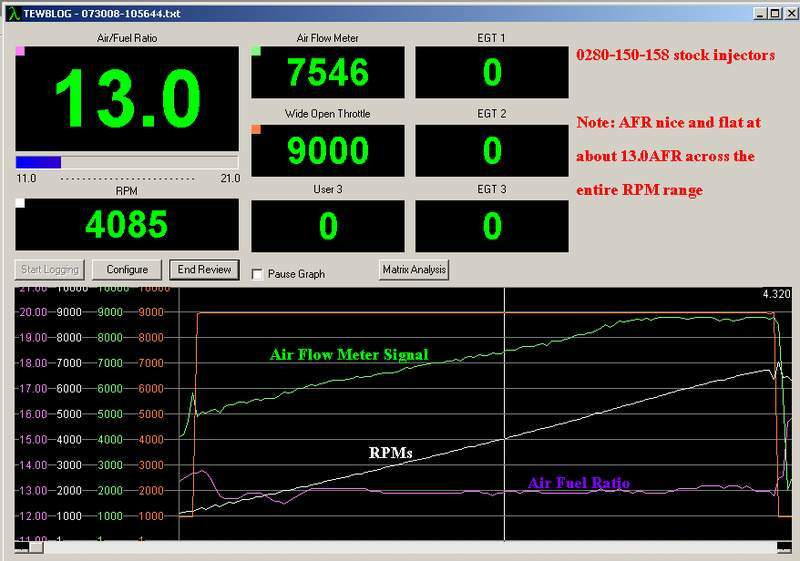 As you can see the 364 injectors ran about 13.1AFR across the RPM range. I conclude that these injectors are great alternative injectors to the 158 stock ones. I can tell they run slightly leaner than the stock ones but not by much, next I will set the base CO and richen up the idle mixture back to spec of 14.2AFR, right now the idle AFR is about 14.5AFR a tad lean but can be easily brought down by simple adjustment of the CO screw on the AFM. So there you have the results, took a year but they are in!